Crochet with Me!! Winter 2017 CAL… Week 3! Week 3 of our Crochet Along is simple and fun!! This week we are using the traditional Granny Square Stitch with a slight twist to the pattern… We will be continuing to turn the circle, that became a square, then started to take shape as a rectangle… Become more rectangular!!! I hope you have had fun to this point!! 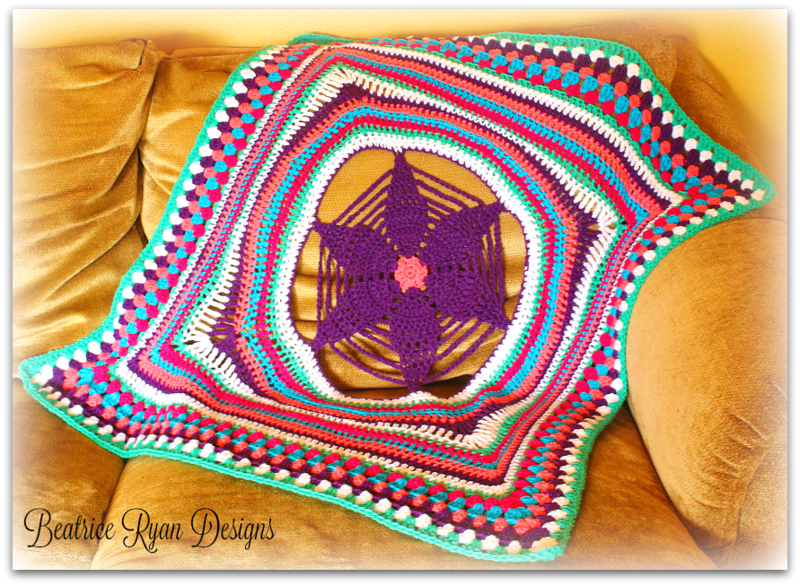 If you are just joining in… This afghan pattern is so simple you will be able to catch up in no time!! For past weeks instructions… You can head to the top of the page and click on Crochet with Me… Or…Click Here!! To have even more fun,,, Join my Beatrice Ryan Designs CAL group on Facebook… Click here!! For sneak peaks and added fun… Follow me on Instagram too! This is similar to what will be in the prize package!! Remember to mark the right side with a marker if you haven’t already… This will be important in upcoming weeks!! 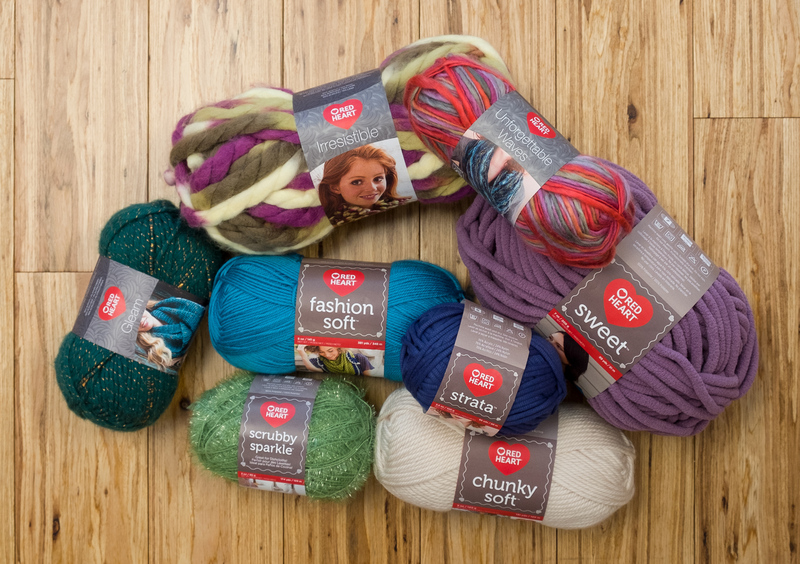 Now… Let’s get started with Crochet with Me!! CAL Week 3!! With the wrong side facing, join Color E to any corner ch1 sp. Turn, join Color F to the top Right corner ch1 sp above dc section of round 26.This will be adding height to your rectangle. Turn, Join Color B in top right corner ch 1 sp above the 3trc shell section of round 28. 30. Ch 4, 2 trc in same sp, *sk 3 sts, 3trc in next sp*, repeat *to* 27 more times, (3trc, ch 1, 3 dc) in next ch 1 sp, ^sk 3 sts, 3 dc in next sp^, repeat ^to^ 27 more times, (3 dc, ch 1, 3 trc) in next ch 1 sp, repeat *to* 28 times, (3trc, ch 1, 3 dc) in next ch 1 sp, repeat ^to^ 28 times, 3 dc in last ch 1 sp, ch 1. Join with sl st to top of beginning ch 4. = 60 3trc shells & 60 3dc shells. Turn, join Color D to top right corner ch 1 sp above 3trc shells. 32. Ch 4, 2 trc in same sp*sk 3 sts, 3trc in next sp*, repeat *to* 29 more times, (3trc, ch 1, 3 dc) in next ch 1 sp, ^sk 3 sts, 3 dc in next sp^, repeat ^to^ 29 more times, (3 dc, ch 1, 3 trc) in next ch 1 sp, repeat *to* 30 times, (3trc, ch 1, 3 dc) in next ch 1 sp, repeat ^to^ 30 times, 3 dc in last ch 1 sp, ch 1. Join with sl st to top of beginning ch 4. = 64 3trc shells & 64 3dc shells. That’s it… Yay, you have completed week 3!!! Weave in your ends and you will be ready for week 4!